There are a lot of good arguments and counterarguments out there--you've probably heard some pretty interesting points, as well as totally opposite views that also seem valid. I've learned so much in the past year or so, from all different sources, and I know I need some clarity. So I wanted to bring together some resources that have been shaping my thinking recently. I call it: Have You Heard? 2. Have you heard of the China Study, and how it "proves" that meat consumption will lead you to an early grave? The response by Denise Minger on her site Raw Food SOS will knock your socks off. 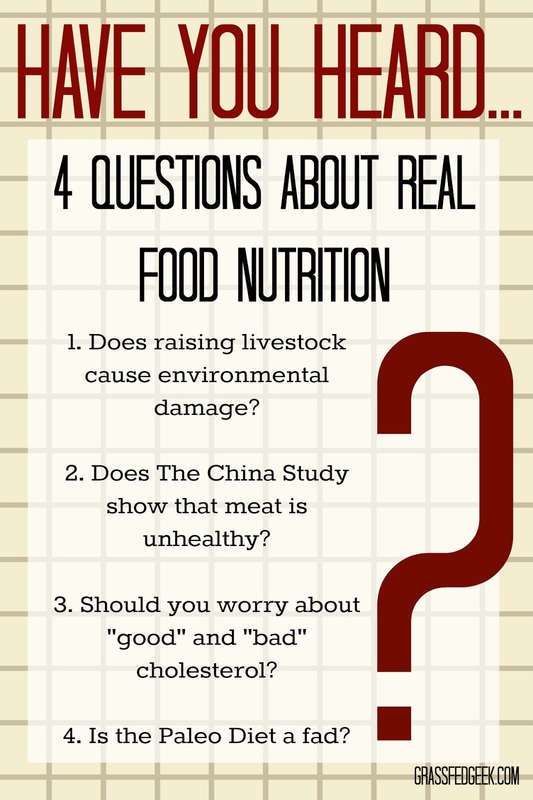 It's an in-depth look at the problems with the argument made in the China Study and it's been widely cited throughout the Paleo community for its balanced approach and thorough argumentation. It's a long read, but well worth it. 3. Have you heard that you should be worried about "good" and "bad" cholesterol, and that your cholesterol level is a primary marker of your cardiovascular health? There's a lot of great stuff out there for this one, including this awesome book Cholesterol Clarity: What The HDL Is Wrong With My Numbers? by Jimmy Moore. Moore is an amazing guy who lost almost 200 lbs following low-carb and Paleo principles and he writes the blog Livin' La Vida Low Carb. He's super knowledgeable and has been on a ton of podcasts as well. I'd recommend checking him out the Fat Burning Man podcast for a good intro. And here's a follow-up article by Robb Wolf responding to this presentation. Don't worry, it's not about bashing the presentation. She said a LOT of good things, and I think it's great to get perspectives from both sides. In fact, when I watched this I found that I agreed, in principle, with a lot of the things she was saying--I just didn't agree with the presentation because she left out so many important things. It seemed like she was trying to debunk the popular conception of what the Paleo Diet is, and not what it really is at its core. The paleo community is one of the most balanced I've ever come across in that there is always spirited internal debate going on and people are constantly challenging each other. So now you've heard! A little of both sides!